As you have been reading Mrs. Gourmand and I have been living on fast food, pie and Pasta with Jam Sauce. Having become a bit hazy on what a vegetable might be, I felt it was time for an intervention. Going back into the CMH Gourmand Wayback machine, my memory was prompted by -> this <- post on Green B.E.A.N. delivery from back in 2011. The timing was good because I was contacted shortly thereafter by Green Bean to see if I wanted to take them for a test drive again (good seremdipity there). Green Bean is as easy to use as ever, maybe even easier. A few things that I noticed this time around was that they stay very active with their blog with plenty of recipe ideas for the in season produce coming your way. The selection process is still quick as a few clicks. You get to pick the frequency of your deliveries. 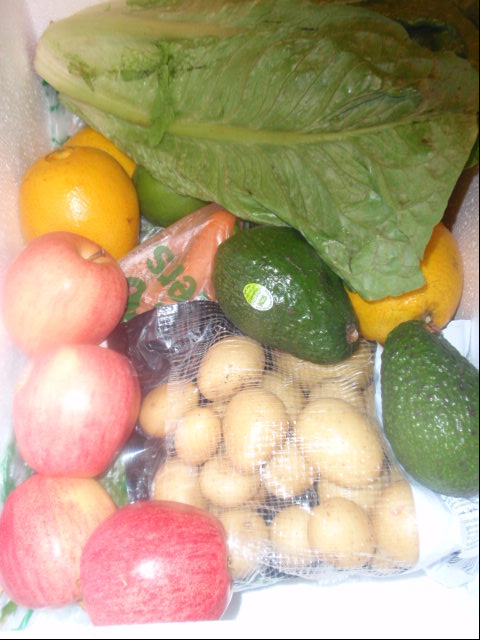 You can start with the default of weekly or you can pick and choose what weeks produce will come to your door. Speaking of which you can leave very specific instructions for where to leave the bin when dropped off and control when and how you are reminded about delivery dates, specials, etc. Your order starts with a weekly update of what is currently in the core delivery and then you can adjust your order from there by increasing or decreasing each item. You can also select from a broad range of other local, fresh and/or organic ingredients to add to your order including staples like milk, cheese, snacks and etc. Mrs. Gourmand and I opted for the standard bin with no adjustments because we wanted lots of green items and because we also wanted to challenge of cooking some items that were not on our regular rotation at the grocery store. This quickly translated into several quick and easy salads with little to no effort on our part. 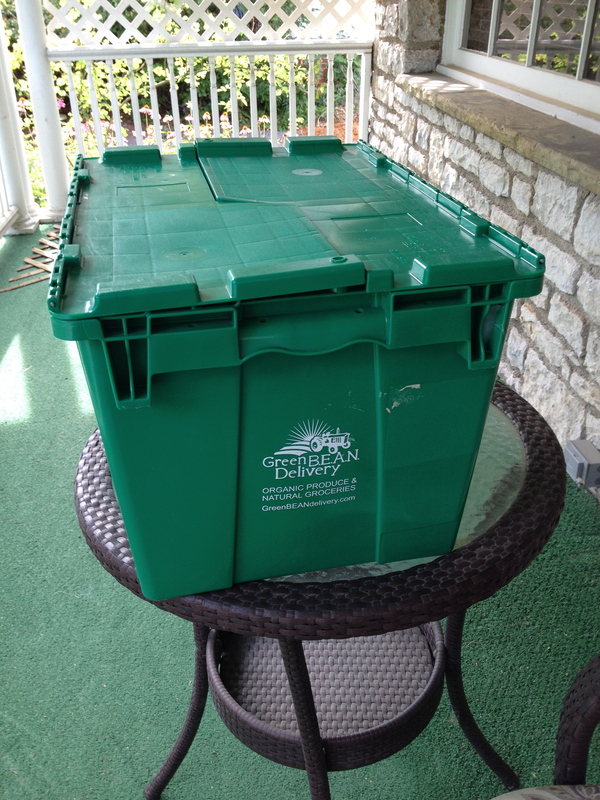 It was also helpful because Mrs. Gourmand was still using a walker when this was delivered. This made me think that this could be a great gift for someone you know that has a busy schedule or has broken a leg or fallen ill and can use a little fresh (and easy) food in their life. So let Green B.E.A.N. help you think outside of the box – both their delivery box and you your rut of items you get at the store to eat healthy and support local food businesses. I have several friends who subscribe to CSA’s. I know a few people who grow food for, fill bags for and who are a bit disappointed that I have never gotten one of their CSA or market bags. Does that make me a bad person….yes. At the end of the last winter I discovered the power a giant pile of vegetables has to fight back against the weariness of the season (thanks again Chef’s Garden). This year, I am filling up my arsenal against winter “meh” early. Green B.E.A.N. 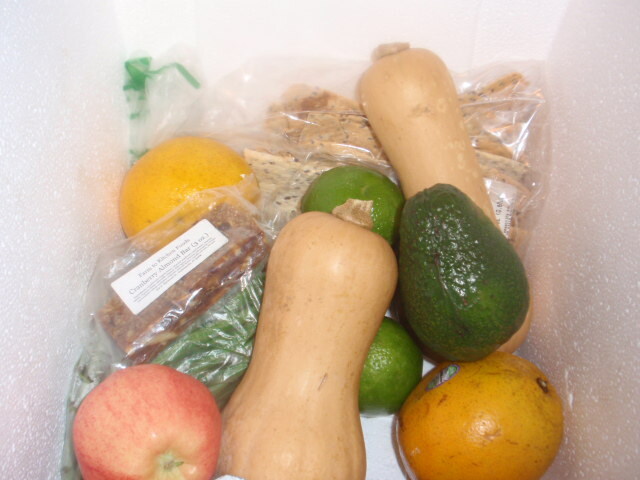 Delivery combines some aspects of a CSA with elements of some home delivery services. 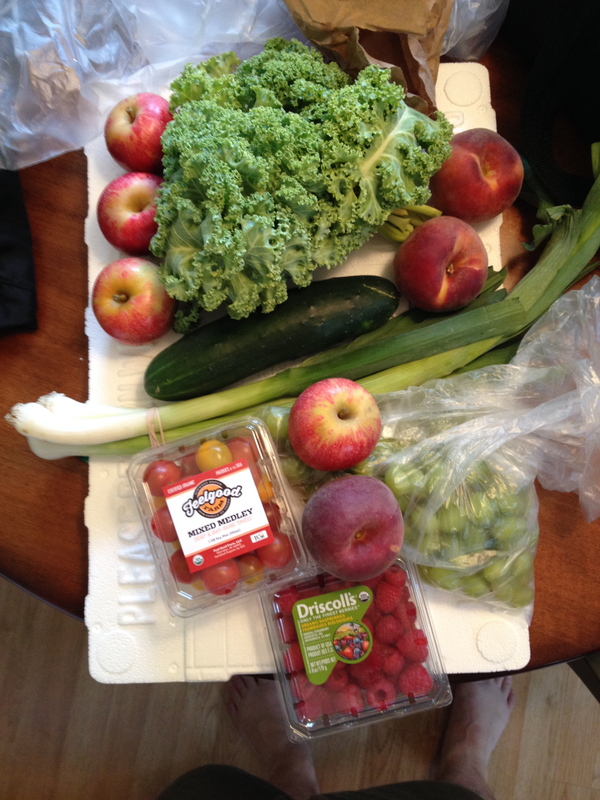 Unlike a traditional CSA, Green B.E.A.N. delivers all year. In contrast to home delivery, there is a core group of items you can expect to receive which you can add to or subtract from as long as the order total is $35 or more. You can order once or every week. They also have a new office bin program to deliver health snacks to offices. Local produce and artisanal foods are sourced when possible. If not available respected organic purveyors and ecologically sound companies are sourced from. These were some of the familiar names I could include in my order: Stan Evans Bakery, Blue Jacket Diary, Frog Ranch Pickles and Salsas, Luna Burger, Shagbark tortilla chips and City BBQ sauces (yes, really). The rest of the selections are regionally or nationally sourced from brands suchs as Naked, Kashi and Bolthouse. Other than beverages (I would love someone to deliver beer and wine to my house) and toiletries/detergent I could fill about 90% of my typical store list via Greenbean Delivery. Looking at the price points for the add-on items, the service is still reasonable when time, gas and other intangible costs are factored in. Inside was a reusable styrofoam cooler to keep my food cool. 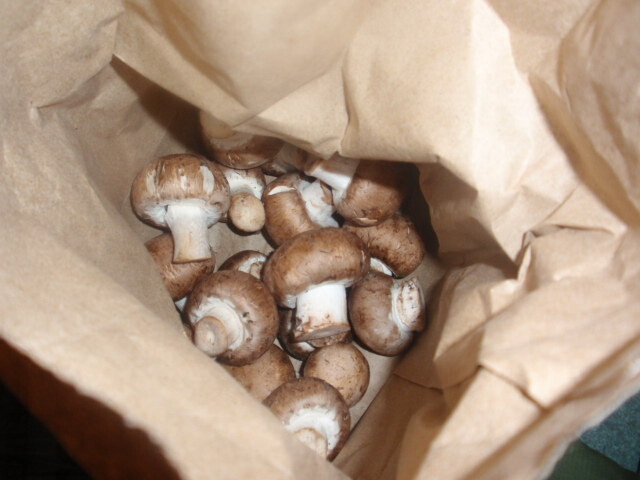 There was also an ice pack sealed in a ziplock bag to protect my produce and dry goods from a leaky source of coldness. (As someone who has ordered ice cream online and received melting mess in response, these small touches make a big difference). For $35 this is what I received: 1 Edible Columbus Magazine (comes free if you want one), 1 pack of Stan Evan’s Crackers ($6.75), 1 F2K Cranberry Almond Bar ($2.50)((It was really good)), 2 Butternut squashes, 1 large bunch of carrots, green beans, 1 bag of Klamath Pearl Potatoes, 4 Gala apples, 3 Navel Oranges, 2 avacados, 2 limes, 1 bag of mushrooms and 1 large head of Romaine lettuce. I opted out of the onions from my order and did not request a replacement. So, you can adjust the produce to some extent but similar to a CSA you may find yourself challenged by getting an array of items you may not select on automatic pilot at the store. (I am a creature of habit, you can predict what I will pick up at the store with 99% accuracy. Many who know me and know how much I eat out (um, this is for professional reasons people, I do it all for you) often wonder if I can cook. I can, my specialties are most notably the hot dog arts, chili and soups. But looking at what I received – nothing daunting. I made several salads. Lime + Avacado = Guacamole. Green beans and potatoes was a staple as a kid and the non fruit leftovers made for a good soup. I ordered the small produce bin which is intended for two to three people. It was a bit too much for me but if I get the bin two to three times per month it should work out well for CMH Tobias and I. (P.S. Green B.E.A.N. Delivery, my dog would like to see some dog treats and organic, grass fed rabbit in your mix). The final verdict? Would I order again, yes. 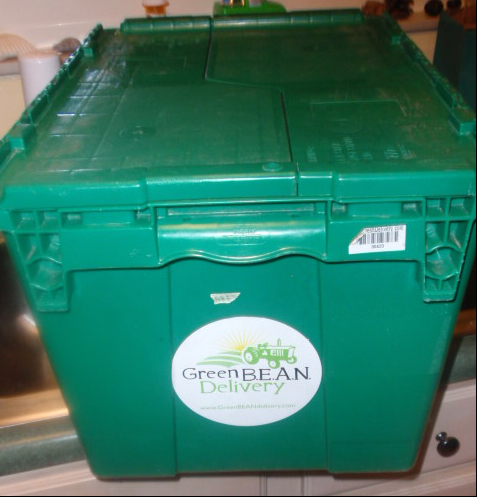 For the month of January I can probably avoid leaving my house at all using Greenbean Delivery. That is a good idea because I have a lot of blog posts to wrap up. To learn more about what Green B.E.A.N. Delivery does in the the community take a look at their Facebook page.